Ubiquitous images of Japanese tourists venturing abroad on well-organized package tours for short-term trips have been substituted by younger Japanese individuals who seek out various urban as well as rural destinations in search of ‘real life’ experience. More senior travellers prefer ‘free style tours’. Similarly, Japanese domestic tourism has come a long way from the ‘Discover Japan’ campaign in the 1970s and the ‘Exotic Japan’ campaign in the 1980s that strove to promote the furusato imaginary rural landscape as attraction to Disneyland-styled theme parks in the 1980s and recent attempts to introduce tourism-based community development and sustainable ecotourism. Tourism development, the evolution of images used in recent promotion campaigns and the structures that shape post-tourist behaviour are indicative of contemporary social change in general and thus merit further examination. In contrast to the rapid development of outbound tourism since the 1980s, inbound tourism has played a minor role in Japan until 2002, when the Japanese government embarked on a policy of active enticement of foreign tourists. Through active promotion and pushed by economic development in neighboring countries, visitor numbers almost doubled from 4,771,555 in 2001 to 8,350,835 in 2008; since then, worldwide economic downturn, disaster, and a soaring yen have taken their toll. However, while their contribution to the overall Japanese tourism market is still well below 10%, an analysis of available data shows that foreign tourists are spread unevenly across the country. As a result, some restricted inbound clusters have evolved. In these places, inbound tourism as a new sector of the tourism market can play an important role in rejuvenation of destinations and innovation in tourism. One such destination is Hida Takayama, a historical town tucked away in the mountains of Gifu Prefecture, which is considered a model for the development of inbound tourism in Japan. An analysis of Takayama’s tourism development process identified close cooperation between the public and private sector, the integration of inbound promotion into a wider set of tourism policies, and the combination of independent efforts by the city with active use of national policies as important factors for its formation as an international destination. As a result, the city attracts tourists from a variety of regions. A survey conducted with Japanese and different groups of foreign tourists proved that they differ in motivations and behavior and, therefore, add a stabilizing element to the tourism market. Finally, interviews with key persons from tourism associations and the accommodation industry, and a survey of small-scale businesses to examine innovations induced by the increase in foreign tourists showed that an active embracement of the new market segment is restricted to a small number of facilities. Through these steps of analysis, it could be shown that the impact of international tourism on destinations in Japan is limited to a number of places, where it nevertheless constitutes an important element of market stabilization and rejuvenation. However, its influence and potential for innovation are confined to some facilities within the destination, while the many small businesses forming the tourism industry often react in a passive way. This paper uses Butler’s Tourism Area Life Cycle (TALC) model to track the rise and fall of nature-based tourism (NBT) in Japan through six stages of nature park visitation from “Exploration” to the post-stagnation stages of either “Decline” or “Rejuvenation”. First, “Exploration” examines the marriage of indigenous travel culture with Westernized perceptions of landscape. NBT’s regional development role strengthened in the “Involvement” stage, when systemization of national parks and package tours paved the way for mass tourism. In the postwar era, urban demand for NBT soared; “Development” was increasingly centralized and bundled with land use policies, but by “Consolidation” visitation growth had cooled due to intensifying competition between resorts and from abroad. In the domestic market, inequalities intensified, but overall NBT visitation leveled off, causing “Stagnation”. Public-private consortiums galvanized communities into large-scale development projects epitomized by the Resort Law, but the financial and environmental consequences were disastrous, leading to “Decline”. In the post-bubble era, ecotourism showed potential for “Rejuvenation”, but to be effective it needs more integrative policy objectives, a consistent framework, longterm fiscal commitment, and capacity-building among rural communities. Therefore, this paper proposes a twin ecotourism strategy that promotes grandstand venues such as UNESCO sites while supporting grassroots satoyama/umi areas. Ecotourism is a type of tourism that is popularly regarded as an environment- friendly activity. Thus, we tend to think that it has a positive relationship with climate change. However, in Western literature, many studies indicate that ecotourism is not environment-friendly in terms of climate change, and that it actually contributes to global warming substantially owing to the use of airplanes by tourists. In Japanese scholarship, there is no substantial research on this topic. This paper reports on a study in which three methods were used to evaluate the relationship between ecotourism and climate change in the Kyushu region of Japan: content analysis, a mail survey, and participant observation. The results indicate that it is a tenuous positive relationship but a varied negative relationship; that is, the impact depends on the type of ecotourism. The ecotour providers in Kyushu do not have explicit ideas on how ecotourism relates to global warming, and their actual contribution toward a low-carbon society is limited to activities such as consumption of locally produced foods, recycling lunch boxes, and using less fossil fuel during tours. Discussed is the existence of a positive but weak relationship and a variegated negative relationship in Japan together with the negative relationship emphasized in Western literature. The conclusions suggest that Japanese ecotourism’s emphasis on revitalization of local communities influenced the formation of a varied negative relationship to a certain degree. 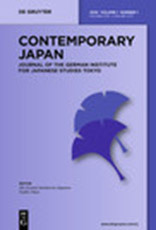 Using the example of the urban revitalization process of Kawagoe’s historical city center and district around Ichibangai Street, this paper examines the impact of different tourism development plans on the urban environment, community structure, and local economy of the neighborhood. Expanding on assumptions around the terms heritage, tourism, and tradition, the paper discusses potentials and practices of a distinctive revitalization and tourism approach that can offer new possibilities but also the chance of resistance. This will be done by critically evaluating Kawagoe’s community and tourism development plan and presenting personal trajectories drawing on ethnographic data collected before and after the Tohoku earthquake of 11 March 2011. The results show that synergies which derive from such incidents could be used to develop a better understanding of the impact of tourism development, and of how to rebound from times of crisis. The case of Kawagoe illustrates how the preservation of a traditional townscape can serve as one step toward the development of a sustainable, self-reliant, and resilient community when relying on a distinctive, place-based tourism approach.